Top candidate in 2016 KCPE results get 436 marks – Kenyatta University TV (KUTV). All Rights Reserved. 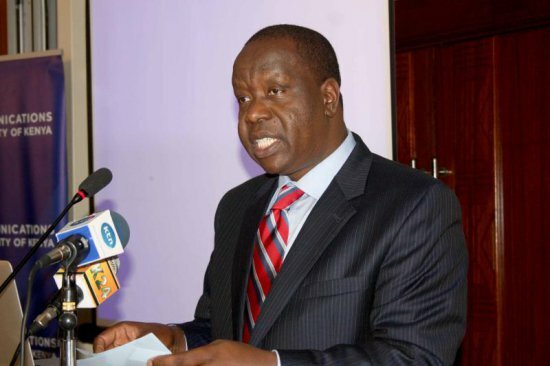 Kenya Certificate of Primary Education results have been released today by the Education Cabinet Secretary Fred Matiang’i at Kenya Institute of Curriculum Development. Speaking during the release of the results, Matiang’i said that Form One selection process will also commence today. The Kenya National Union of Teachers (KNUT) boss Wilson Sossion welcomed Matiang’i decision to release KCPE 2016 results early, adding that they were there for reforms workshop only to be shocked with information that the KCPE exams are being released early. The Education Cabinet secretary Fred Matiang’i today announcing the results said that the top pupil got 436 marks, a drop compared to the 2015 exams results where the top candidate got 449 marks. “This year, no single candidate will miss results because we had no exam leakage apart from 21 cases of attempted malpractices,” the CS added. The Cabinets secretary for Information and Communication technology Joe Mucheru said that the digitized the marking, and this helped them to provide fair abd accurate results.